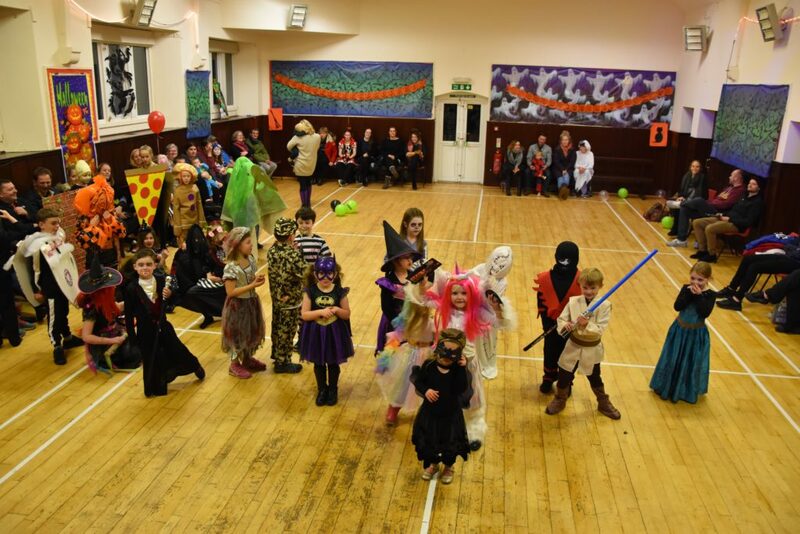 In our second instalment of Hallowe’en celebrations which took place across Arran we present a snapshot of the rest of the parties which the Arran Banner attended. 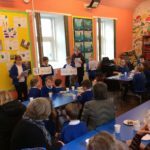 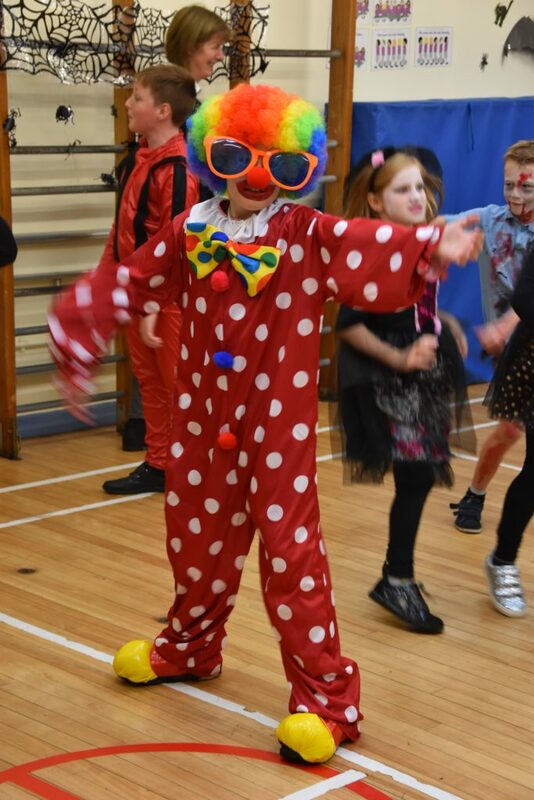 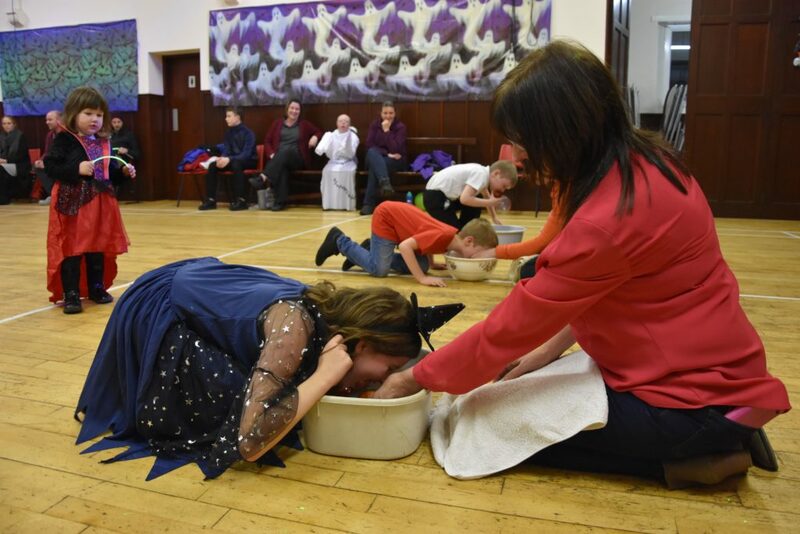 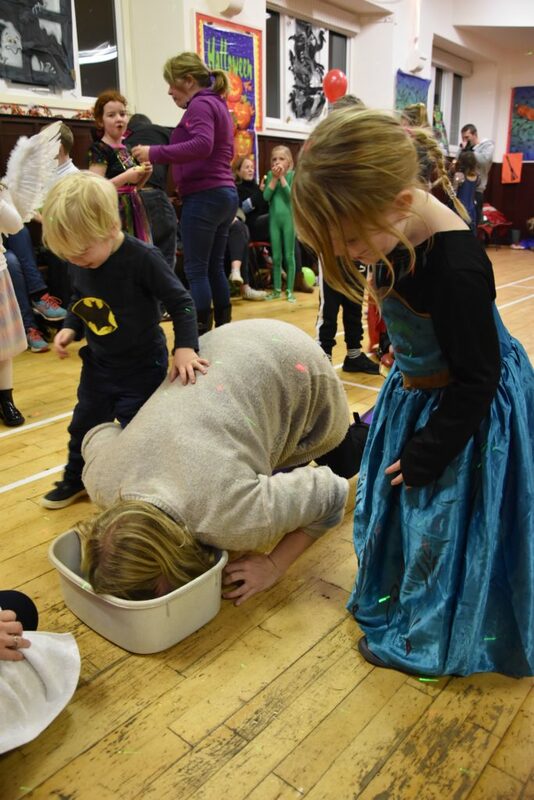 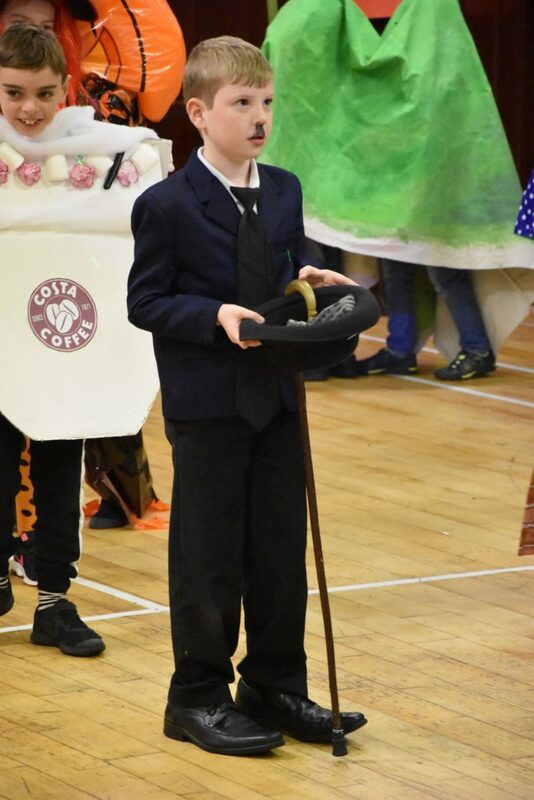 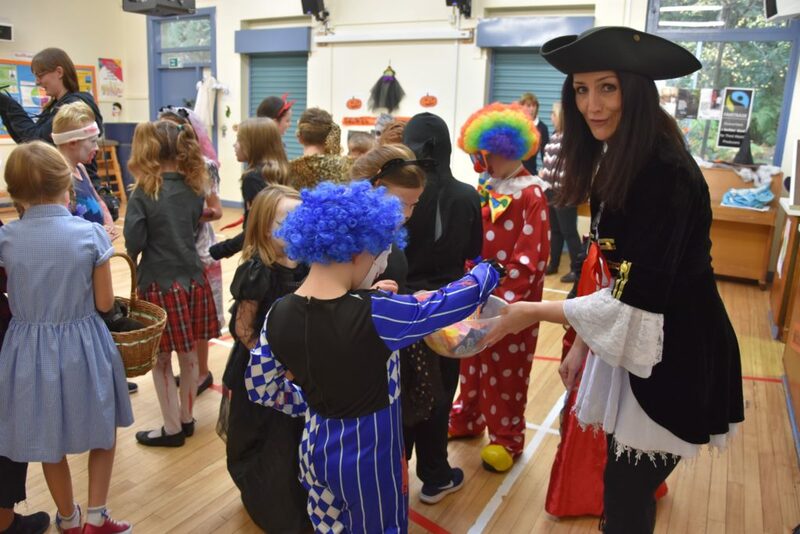 At Brodick Primary School, children dressed for the occasion, enjoyed traditional games and took part in fun competitions, many of them involving enthusiastic and active dancing, to earn themselves sweet prizes. 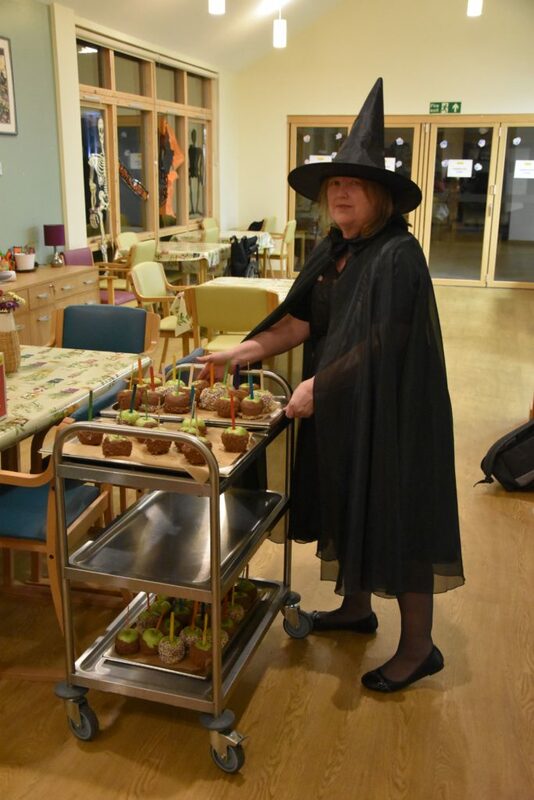 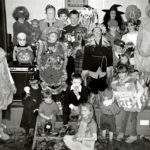 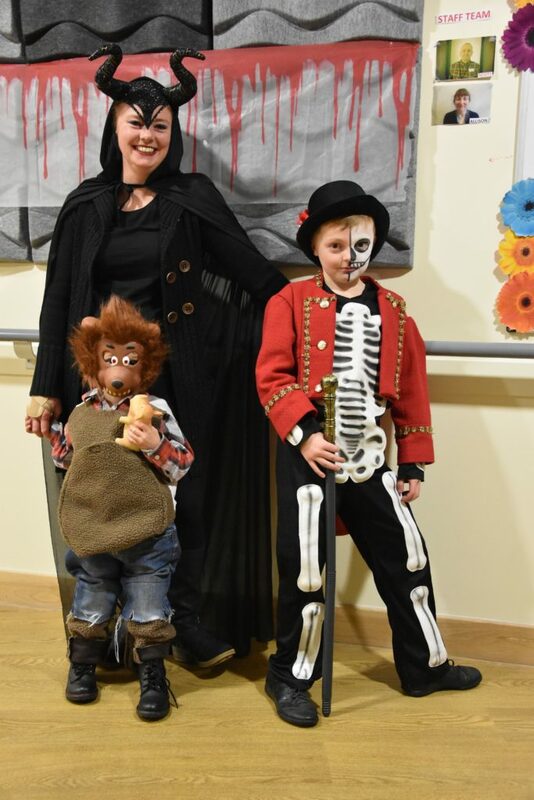 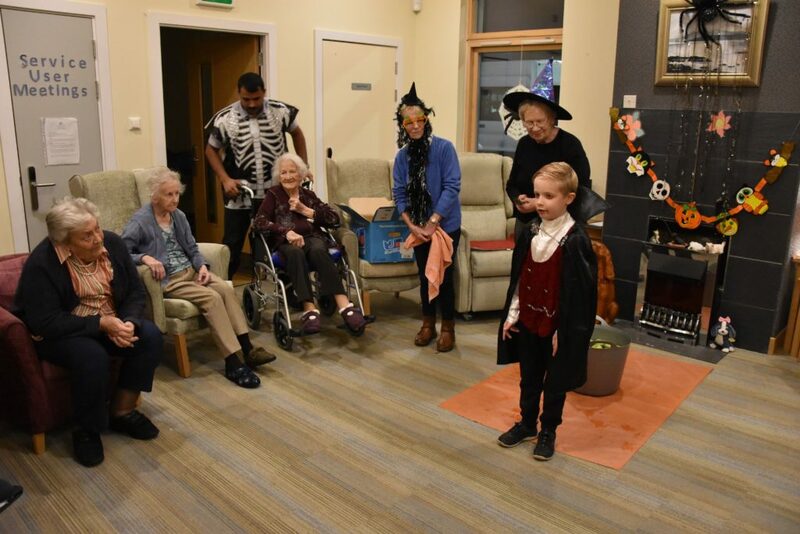 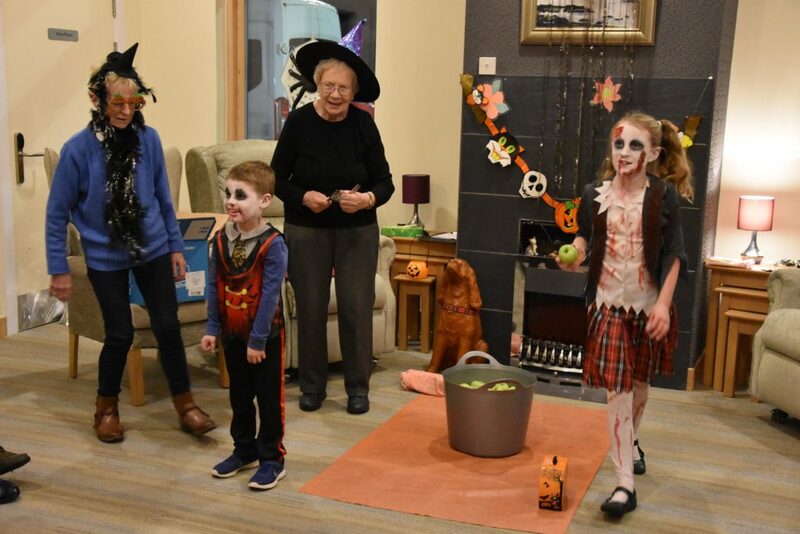 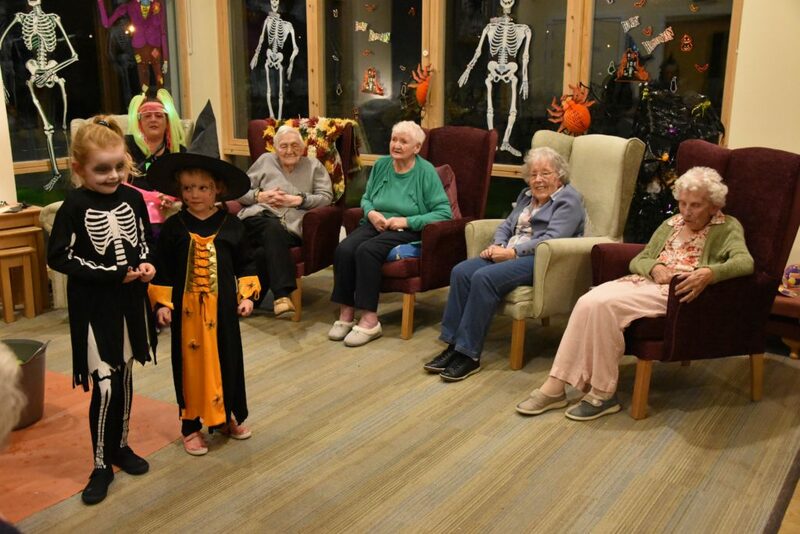 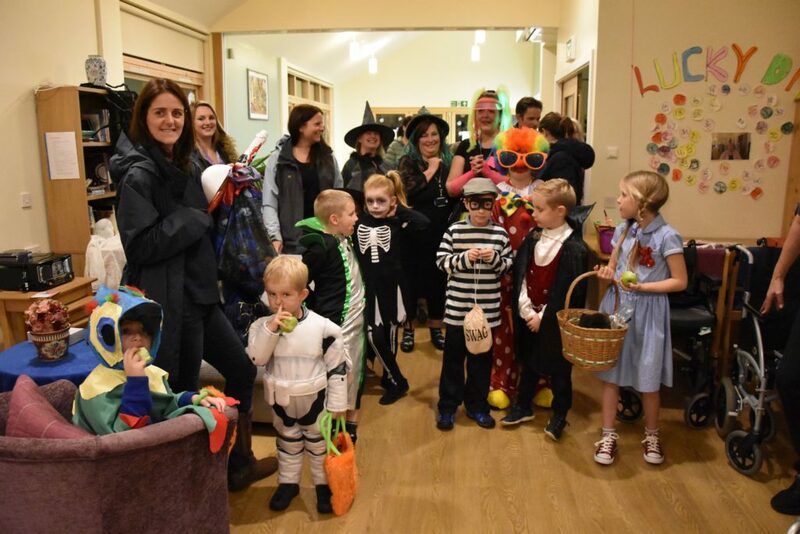 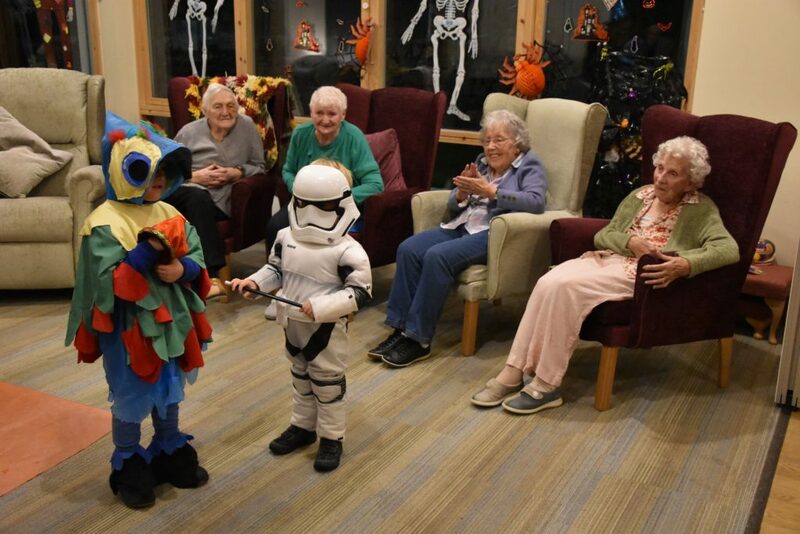 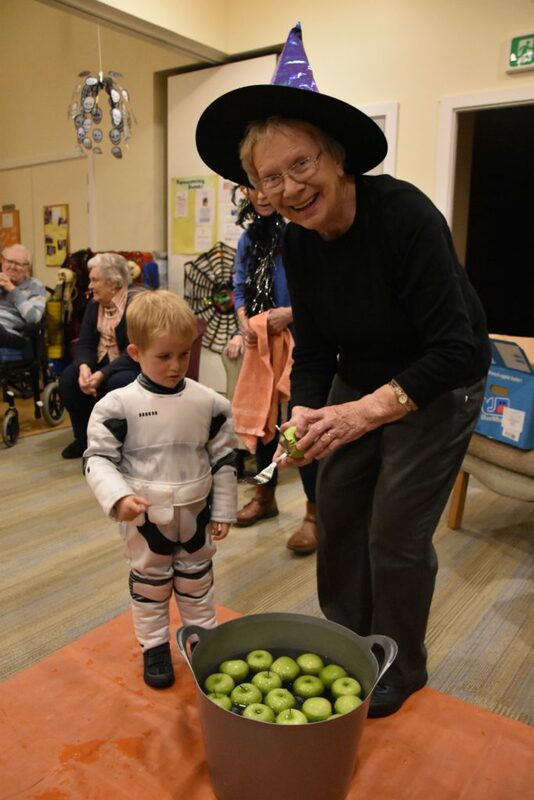 The traditional Montrose House Hallowe’en evening attracted a large gathering of young guisers who performed for the care home residents in order to receive tasty treats and a goodie-bag to take home with them. 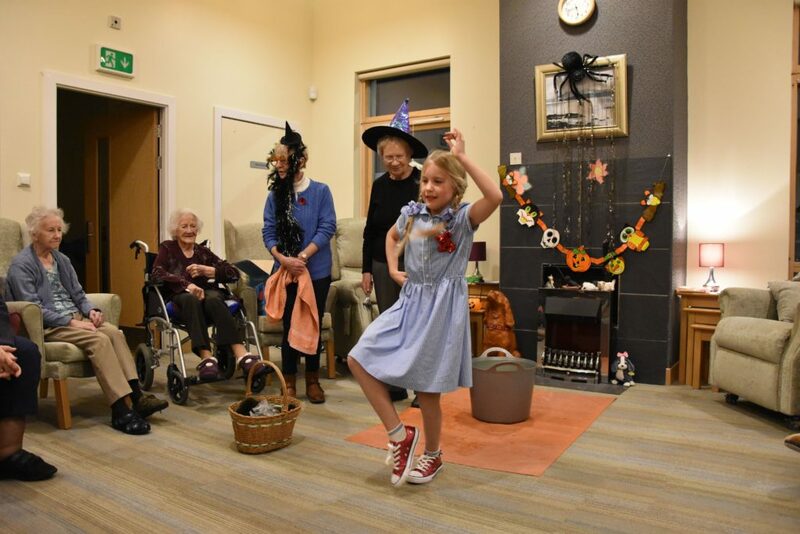 Residents, this year, were treated to jokes, songs, dancing and even a few magic tricks. 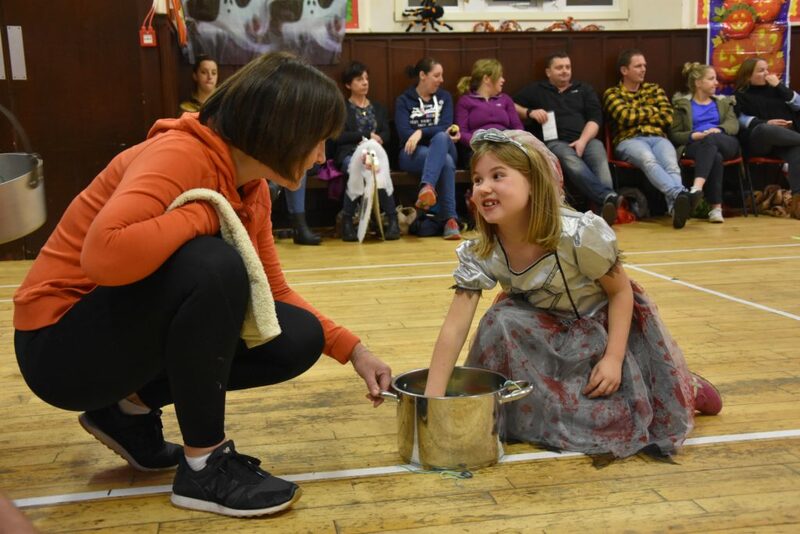 Over in Shiskine Village Hall where an evening of traditional games is the highlight of many a young guiser’s Hallowe’en plans, children enthusiastically took part in fun games along with the liberal handing out of toys and sweet prizes. 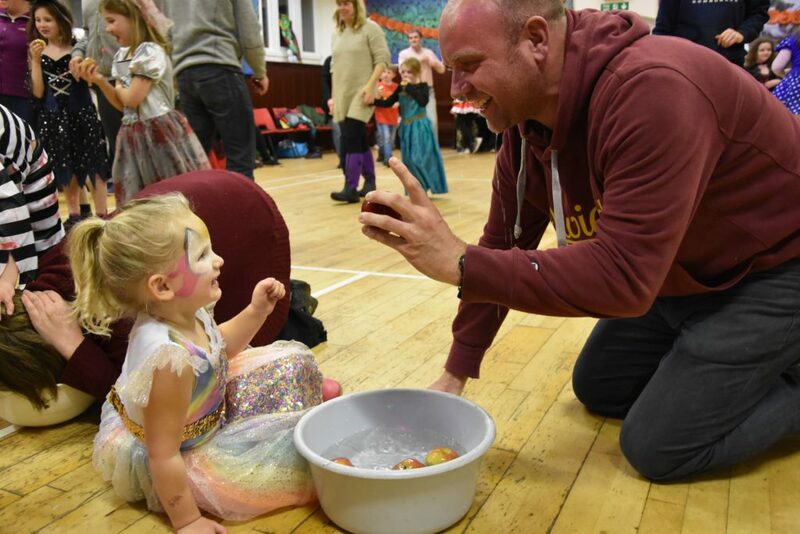 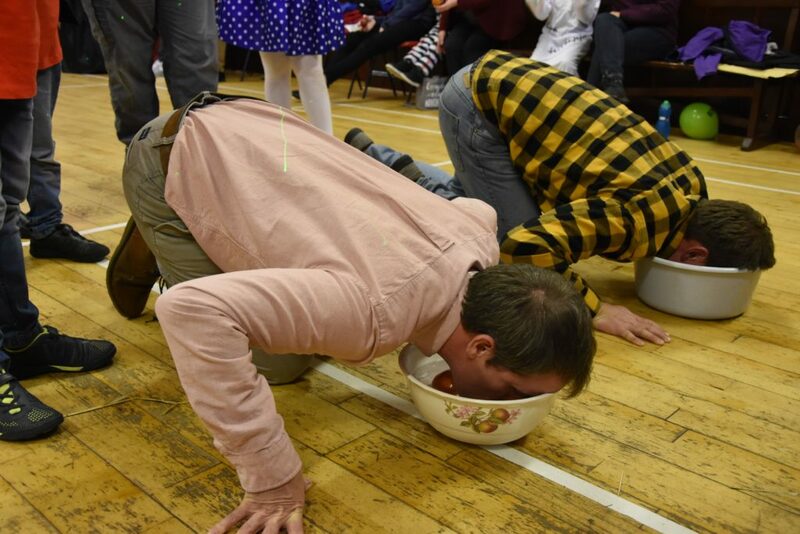 Besides the usual dooking for apples and eating jam pancakes, children enjoyed dancing and running games and some convinced their parents to join in on the fun. 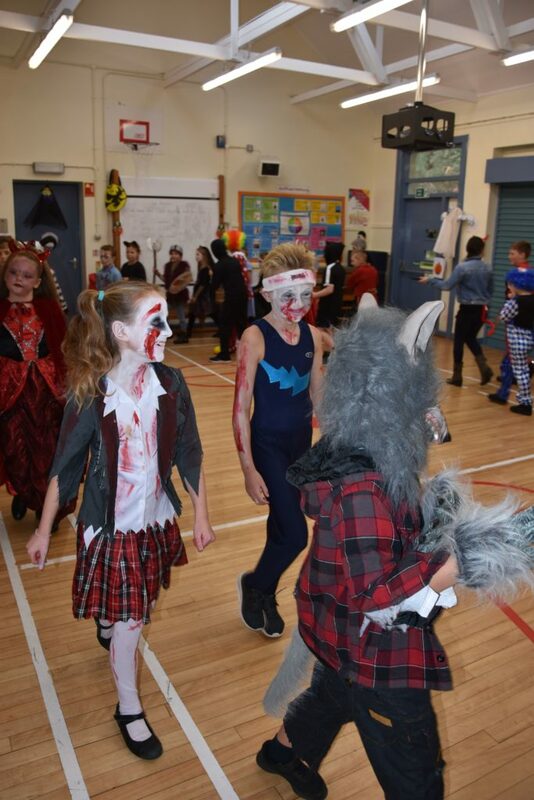 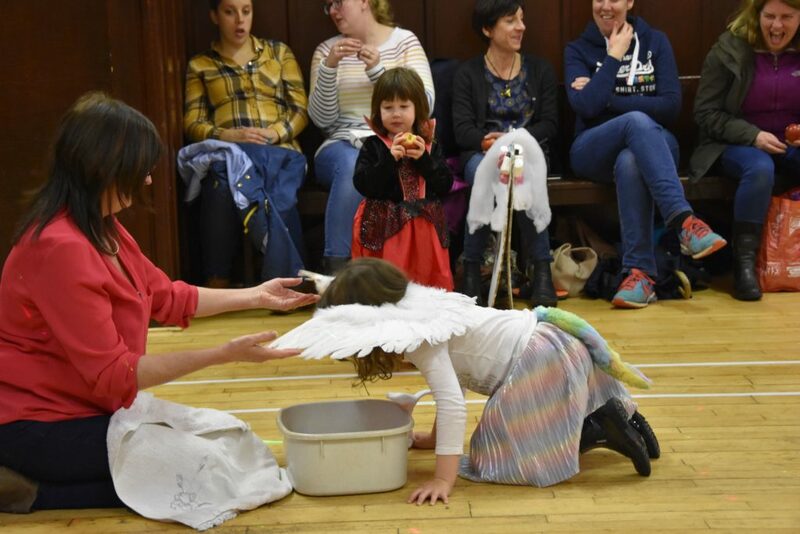 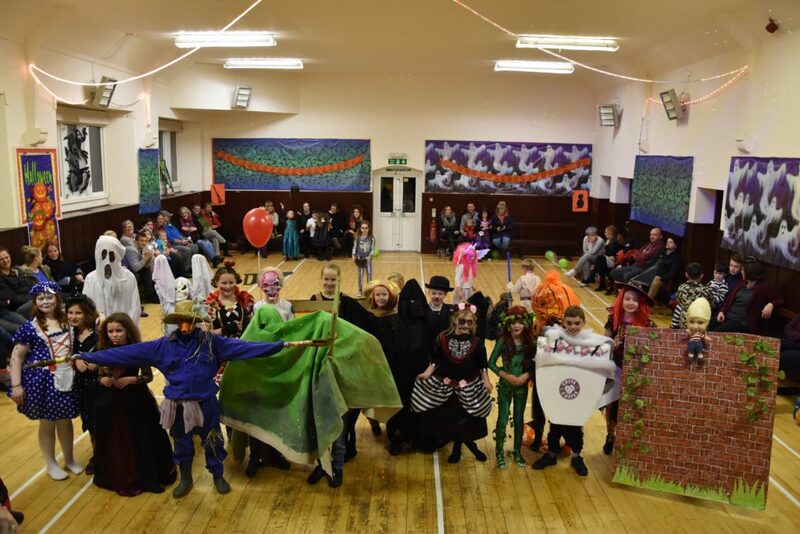 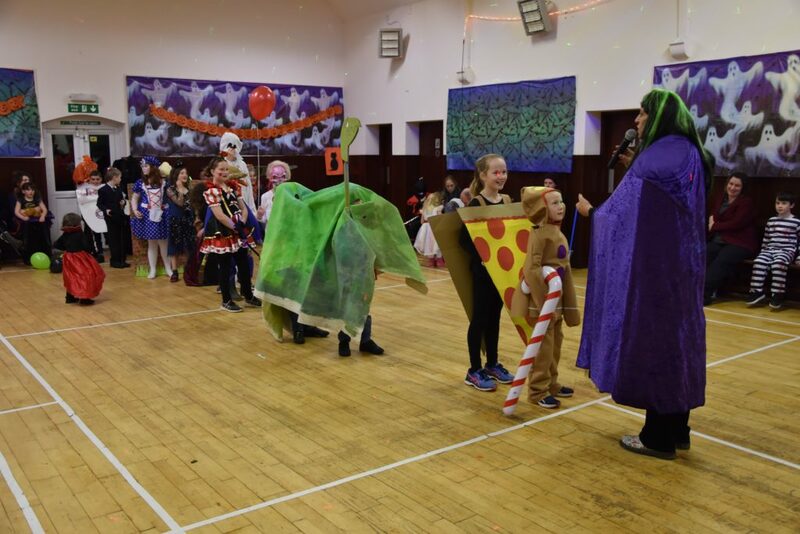 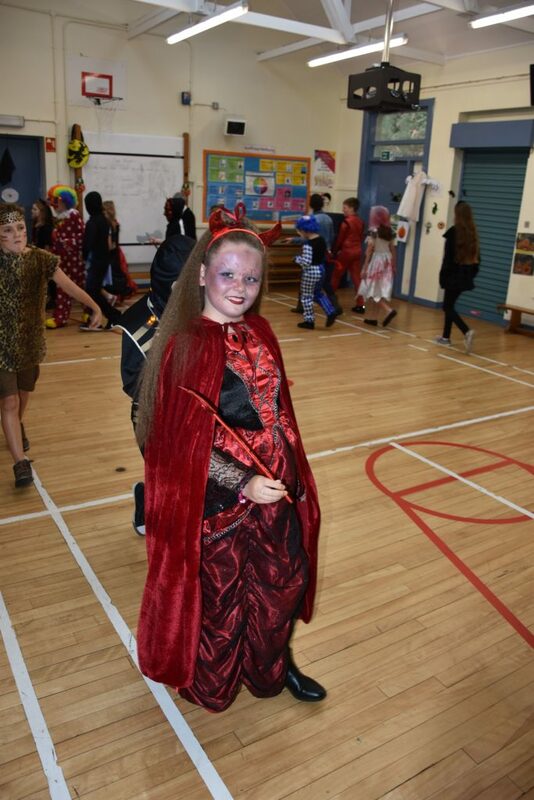 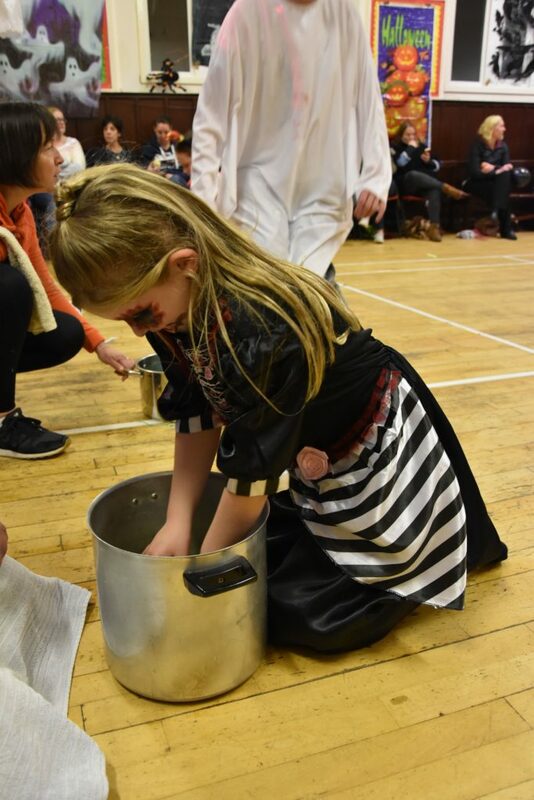 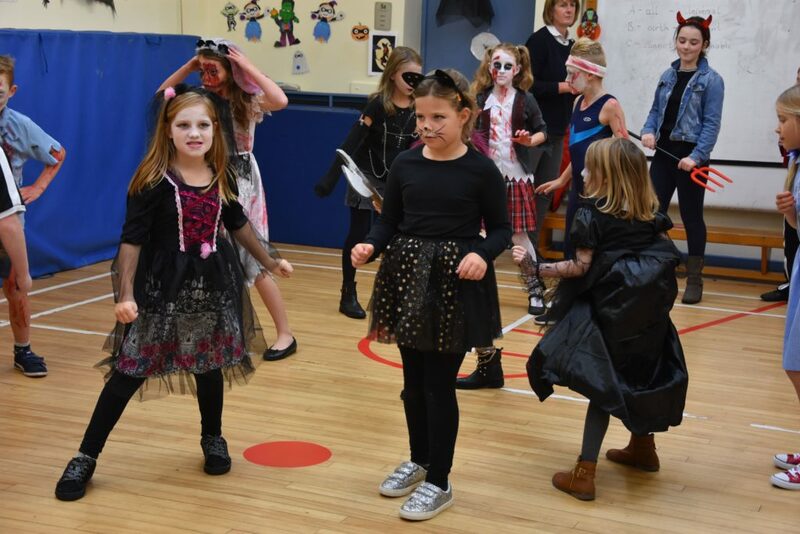 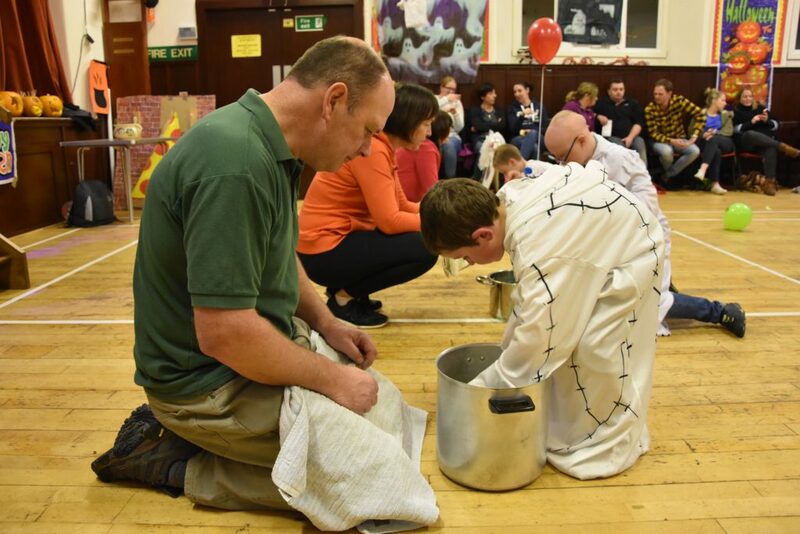 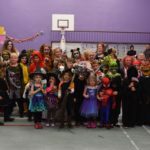 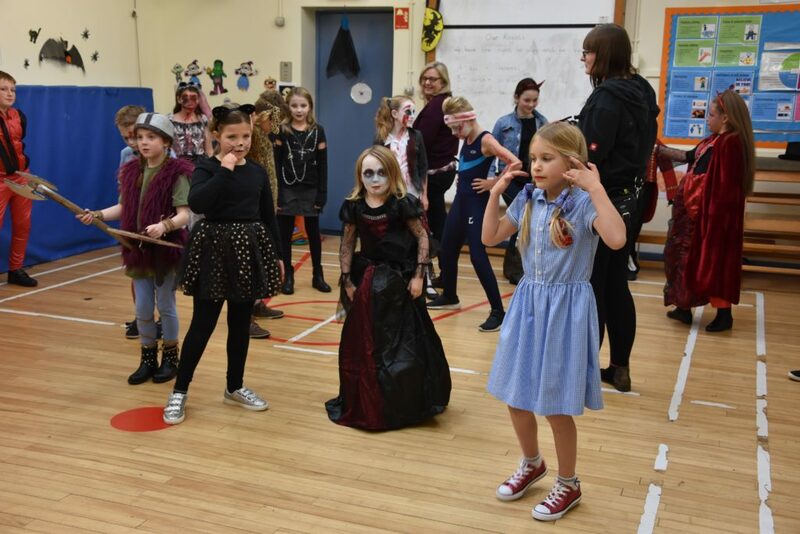 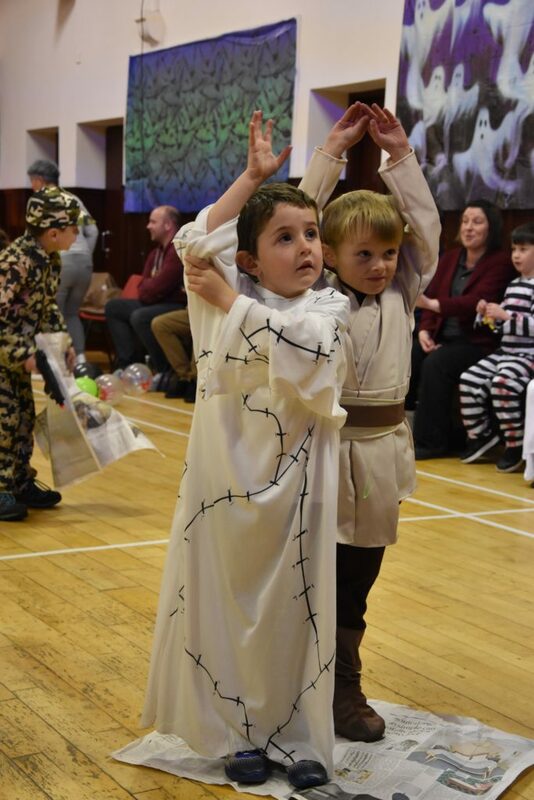 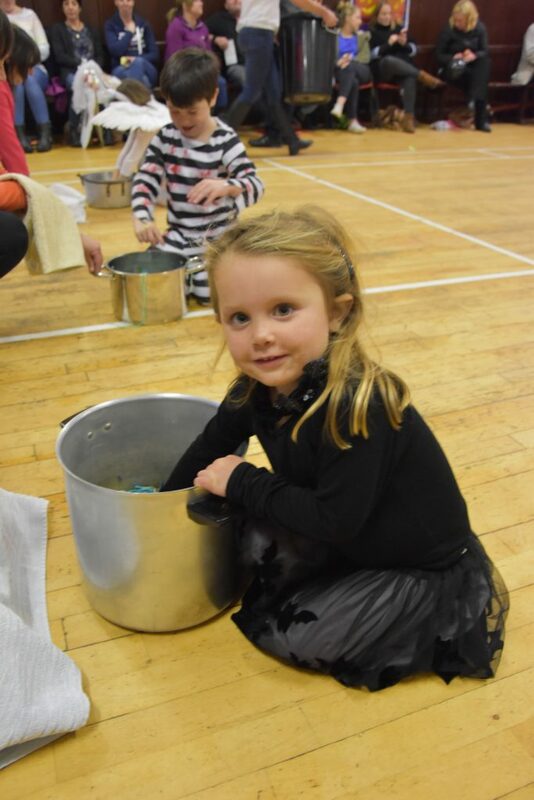 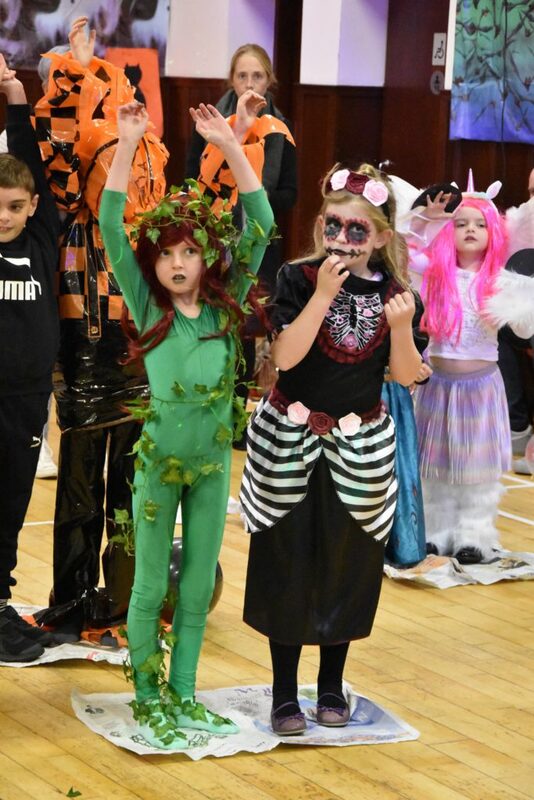 Altogether, Hallowe’en on Arran has been a week-long celebration with fun activities taking place at various village halls and schools. 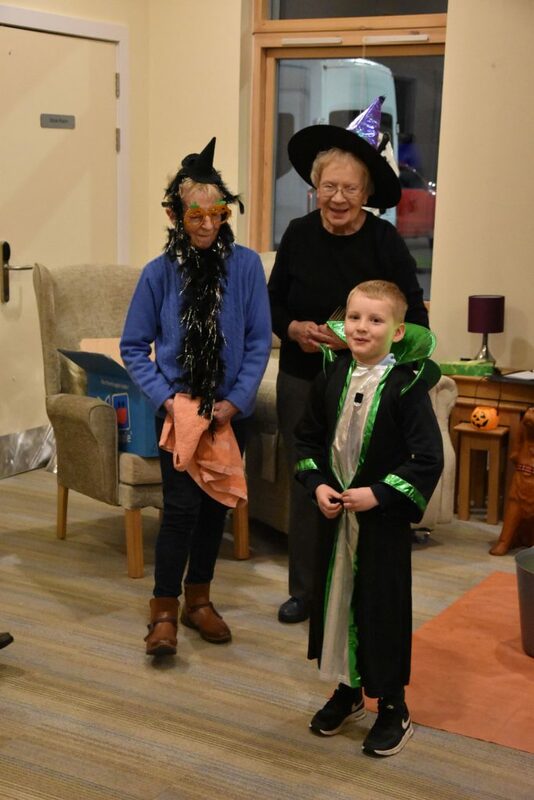 It has also once again been a welcome introduction to the start of the cold, dark winter nights that lay ahead.